Skipper Jeetan Patel says his emerging Warwickshire team are hungry for success as he embarks on an eighth consecutive season as the club's overseas player. The 38-year-old New Zealand spinner heads into the 2019 County Championship campaign - starting with the visit of fellow top-flight new boys Kent - fresh from signing a new contract that will keep him at Edgbaston in 2020. 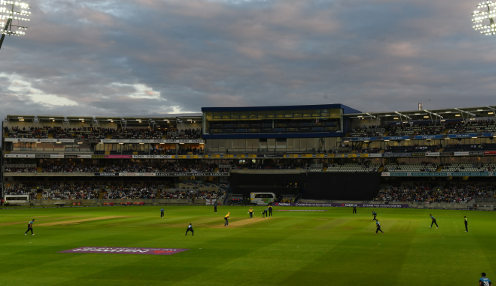 "Being a Bear and part of this club is something that's very special and I'm over the moon to sign this contract extension and to commit to the 2020 season," Warwickshire club captain Patel said. "We made good progress last year in returning to Division One of the Championship as Division Two champions. However, we all want to build on this. "I've been fortunate to be part of some fantastic teams and to have won all trophies during my time at Edgbaston. "But this latest crop of players is equally hungry for success and to deliver more silverware to our supporters." Warwickshire will be without experienced ex-England batsman Ian Bell until the end of June following surgery to repair a ligament tear in his right foot. They are also without fast bowler Olly Stone - who incurred a stress fracture of the back over the winter - plus Liam Norwell, the off-season recruit from Gloucestershire, during the first few weeks of the campaign. Warks are 14/1 to win the County Championship Division One title this summer, with Essex priced at 13/2 and defending champions Surrey available at 5/2.